Chen’s works have been commissioned and performed by many of the world’s most renowned music festivals including Donaueschinger Musiktage, Holland Festival, ISCM World Music Days, Festival Présences (Radio France), Tangle- wood Festival, Hudders eld Contemporary Music Festival, Warsaw Autumn, Cologne Music Triennale, Munich Biennale, Schleswig-Holstein Music Festival, among others. His international career has led to close collaborations with the SWR Symphony, NDR Symphony, KBS Orchestra, Munich Philharmonic, Zurich Chamber Orchestra, Ensemble Modern, London Sinfonie a, Ensemble Intercon- temporain, Auryn Quartet, Ardi i String Quartet and many others. 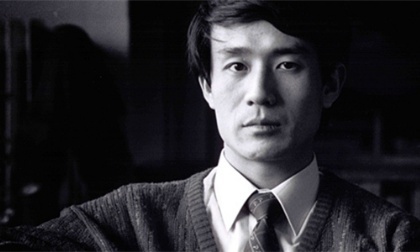 Highlights of Chen’s career include a portrait CD by the Deutsche Kammerphilharmonie Bremen (lauded by the Neue Zeitschri für Musik), a portrait concert by the NDR Symphony, Hamburg’s Bach-Prize-Scholarship and Munich’s Chr. & St. Kaske Prize. As an educator, Chen is a professor of composition at the Hamburg HfMT, and has accepted various professorships at the Shanghai Conservatory of Music, the Central Conservatory of Music Beijing, and has been the com- poser in residence and an artistic advisor of the Danube University Center for Contemporary Music. After studying composition at the Central Conservatory of Music Beijing, Chen studied at the Hamburg HfMT with György Ligeti (1985–1989), maintaining a close friendship with him until his death in 2006. Chen’s works are exclusively published by Internationale Sikorski Musikverlage. In 2005 Chen became a member of the Hamburg Free Academy of Arts.